Have you been wanting to buy property but are left with the nagging concern that your credit score is holding you back from moving forward? Well not anymore, because at EXIT Realty Sun City, we have a solution to your problems. 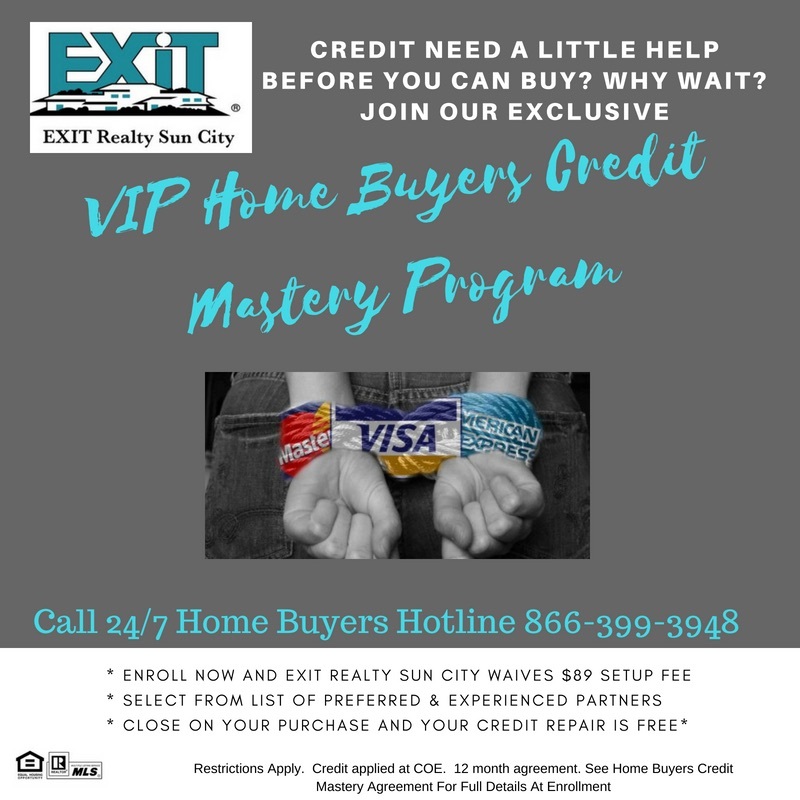 Use our VIP Home Buyers Credit Mastery Program, let our team of experts help you rebuild your credit and purchase your home sooner rather than later! Receive up to $499 cash back at closing! 623-552-3255 or our 24/7 Home Buyers Hotline at 866-399-3948 and ask for our VIP Home Buyers Credit Mastery Program.